This position supports the Director, Global Market Access & Pricing – Oncology in payer value propositions/stories and ultimately as we approach launch providing tools and support to the market access teams in Areas and Affiliates. The position works closely with Area and affiliate personnel in determining appropriate responses/actions to developmental milestone decision points with regards to implications for local pricing and/or reimbursement issues. This person will also work closely with the Pricing and Analytics Team within Global Market Access & Pricing to track development of competitor pricing. The Associate Director, Global Market Access & Pricing – Oncology is to work cross-functionally to maximize deliverables within the budget allocated by GCD and drive a remarkable impact for patients through optimized patient access, while ensuring compliance and risk management. 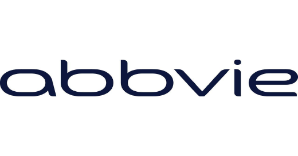 This individual will exemplify AbbVie leadership principles and provide innovative, strategic, and evidence based supported direction as the subject matter expert in reimbursement and market access opportunities and challenges. The position is a marketing position which requires strong analytical skills, the ability to understand and translate clinical information and messages into payer marketing messages, strong presentation skills and the ability to work well in a cross-functional team. This position requires a deep understanding of the clinical aspects and the impact of these clinical results on the value of products, as well as the competitive products in this market space. In addition, this position is responsible for the oversight of the vendor management aspects, logistics, budget management, financial compliance, reconciliation and required transparency reporting for any/all market access and pricing projects managed, including alignment with finance, OEC, legal and commercial support groups. In collaboration with the Director, Global Market Access and Pricing – Oncology, leverage Evidence Based Medicine expertise and clinical background, deep global payer knowledge, research and competitive insights to develop the early engagement tools for pre-launch compounds and GVD, communication tools and training for approved product(s) seeking access and reimbursement. In collaboration with the Director, Global Market Access and Pricing – Oncology proactively ensuring reimbursement perspective is incorporated into clinical development plan as well as multi-functional therapeutic and product assessments throughout key clinical development milestones. Generate global payer value propositions for new products that are aligned with the product’s total emerging value proposition (physicians, payers, and patients) and the product’s target product profile. Collaboration with GHEOR, Global Business Intelligence, Government Affairs, Global Marketing, Global Commercial Development, Global Medical Affairs and complimentary Area & Affiliate Functions, to ensure solid understanding of global payer markets and emerging stakeholders in the reimbursement area. Through internal collaboration and management of external partners/vendors conduct pertinent therapeutic and disease areas reviews, and advisory boards, which includes but not limited to general market access landscape, payers unmet needs, current standard of care, competitors’ value proposition and pricing & reimbursement status, and payers’ decision. Assist in project management with regards to purchasing support, opening of POs; ensuring appropriate documentation is in place in line with company procedures and storage of pertinent documents to assigned projects. Proven track record of being able to successfully interact with all levels of area, affiliate and internal authority across divisions (including Global Commercial Leaders, Forecasting, Clinical Development, HEOR, Medical Affairs and Regulatory, as well as peer equivalents in other market access teams and the market access community as a whole). The candidate must possess strong leadership, intrapersonal, critical thinking and analytical skills to work with a variety of groups in ensuring that the strategic direction for market access and pricing is in balance with the market as well as corporate goals. The candidate must be willing to work across a range of products, in pipeline, near market and on market in a variety of therapeutic areas, as needs dictate. The candidate must be sensitive to cultural and market differences as they will interact and travel to multiple countries in their role. This candidate must have strong presentation and writing skills. MBA, MS, Pharm D, or other advanced degree preferred.